Recently one of our blog posts was mentioned on The Verge In a post regarding the digitisation of the book industry. Although we agree with a number of things that the author is saying about the love and need for traditional paper based books, there is still a lot to be said for e-books and e-readers. The post goes on to discuss the formatting of e-books and how potentially bland everything can become if fully digitised though the post also talks about how books and how they are ‘merely a collection of words that tell a story’. For the most part this is how people see it and that’s all it needs to be. Books, no matter their form, are functional as entertainment, in some cases as escapism for those who choose reading as a way of passing the time and that enjoy it. So why should it matter whether it’s on paper or by digital means? As it turns out it does seem to matter. 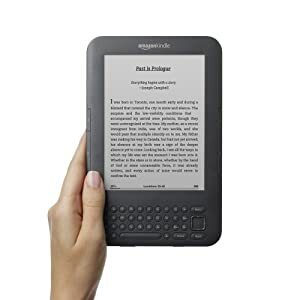 There are a lot of people out there sceptical about moving books to iPads and Amazon Kindle devices as much as there are people that welcome it. Perhaps their vitriol is more appropriate for a device such as Apple’s flagship iPad, a device which can contain a million distractions such as notifications from the likes of Facebook, Twitter and other modern social media and communication formats as well as email. This modernisation, this sense of combining everything into one place can be irksome for many, especially book traditionalists, but in the end it almost always comes down to personal taste. Unless a device causes serious problems for the user in comparison to the traditional method, only then can the masses be concerned. For the most part, as Amazon’s mid-2011 projections suggested, people are preferring digital as Amazon now sells 115 ebooks for every 100 physical ones. If this statistic shows us anything it’s that, whilst ebooks are the more popular choice of reading, there’s still a truly significant amount of people that prefer a paper or hard back in their hand than a plastic electronic device. We have after all been handling books and paper for thousands of years. It’s simply evolution taking effect. Since last year our requests for having books converted to the likes of the Kindle and other devices have at least tripled. This is because it has huge potential for authors and publishers as, arguably, the digitisation of literature is saving literature itself. Most modern releases of books on fairly large publishing company books are being released as an ebook as well as in a physical copy, but people who have written books from years gone by are also jumping at the chance to have a digital copy of their book. The already rolling potential of ebooks is huge and this is finally being fully realised by authors and publishers of all shapes and sizes. The Kindle is the lesser of two evils…if you see e-readers as evil. Cover via Amazon[/caption] Unlike the all in one aesthetics of the Apple iPad and other tablet devices, the likes of the Amazon Kindle and the Kobo Touch have been put together very carefully. Unlike tablet devices they don’t just contain simple apps that power the reading experience, they are built with the reading experience in mind. They have screens that make reading easier, some argue easier than the print pages we are already used to, they allow for customisable fonts and margin sizes for your comfort and convenience which are nice perks, but they don’t move you far enough away from the reading experience in its traditional sense. You hold the device which is the size of the average paperback, albeit much thinner, you turn pages either by pressing buttons around the same area where you would previously have turned paper pages, or touch or pull at the screen to open the pages if a touch device is being used. These are devices that have been made to progress the reading experience, that allow you to hold onto as many books as you need in one small package, without losing the traditional experience of reading a truly great piece of literature. It’s arguable that aspects such as the branding of the device and the feel of it compared to a book are distracting and can ruin the experience and not allow the reader to truly absorb what they’re focussing on but if you can get past this you’re in for a treat in my eyes. 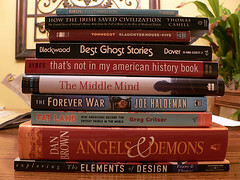 To conclude, as ‘In Defence of Books’ so proudly boasts, ‘books smell great. Tablets and e-readers don’t’. This might be true, but while ever consumers have convenience and space saving on their mind, this simply does not matter. If you’d like to find out more about converting your book to a digital format, please visit our site to find out more.